I put into the photo directory a picture taken last friday in France, near Aldebaran. 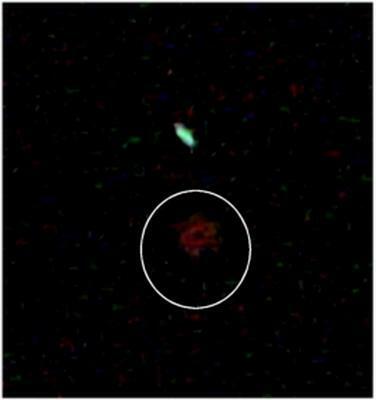 The presumed Planet X complex is circled, and quite visible. The only thing I can say is that I fully trust the person (Stephane) who took the picture, and that for me it is the first proof. My name is Stéphane. I am the person who made the photo that Veronica sent to you. This photo is taken next to Taurus 83. Re the French photo and his digital camera specs for the Planet X core photograph taken on April 7, 2003.